I've set up an online store to sell some of my original art. 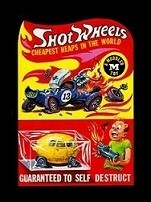 I just put up some Wacky Packages stuff for anyone interested. Thanks! Nice work with the They Live inspiration. Hey Wackys and Wackettes! Some of you may not know, but the Wacky MLB set was the last Wacky Packs set I'll be working on. I have a bunch of shaped sketch card blanks that I'm offering up for color marker sketches for $50 shipped. These are the last official sketches cards I'll be doing, so grab one now if interested! PM me or email me at mping82@hotmail.com if you'd like one (or more). See below for examples of previous sketches. Thanks! Mark, sorry to hear you won't be doing Wackys anymore as your work is always top notch. Best of luck moving forward with your painting, design and illustration projects. I'm down to six blanks left. Thanks everyone! very sorry to hear you won't be doing Wackys in the foreseeable future, I always loved your work, it is always incredible! Hope to still see you at the Con shows, and can't wait to see what you have stored for us fans in the future! Thanks! I will be one of the artists at the Fall Non-Sports Show I believe. I wish I could have done more Wackies. I gladly would have. The change to made up products took away a lot of the fun, as well as the switch to digital text and cut and paste designing. I didn't submit anything for the 50th Ann. Set. I thought I'd share a bunch of mostly unused ideas I submitted for ANS/Postcard sets. I thought I'd share a bunch of mostly unused ideas I submitted for ANS/Postcard sets. Ah, I really wish that some of these had seen the light of day. Thanks for sharing and best of luck with your new creative endeavors! "Shark Dish" with the glasses and hat of the mascot would have been a classic, too! You must have been channeling the spirit of the Lost Wackys! Nice Neil, on the same Wacky wavelength. Thanks! I really enjoy this one. It brings a whole new meaning to the catch line from their old commercials: Sorry Charlie! Would have loved to see some of those in the 50th set. Great stuff!!! Thanks to everyone who ordered sketches! I will be doing a few each week and will have them all done by the end of the month. Here is what I have left of blank sketches after the first round. $50 shipped! PM me if interested. Thanks! All blanks SOLD! Thanks guys! It's been a pleasure. 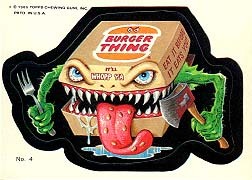 Btw, I will be at the Fall Allentown Show and will have some of my Wacky Packages original art there (among other things) for anyone interested in checking them out. I found one final return I had completed. If anyone's interested, it's $50 shipped. Send me a PM. Thanks!